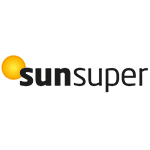 Sunsuper is Australia’s fastest-growing top 10 super fund (2016-17), and we’re proud to look after more than $57 billion in retirement savings of more than 1.3 million members, support almost 100,000 registered employer clients across a diverse range of industries, and work with 2,000 financial advisers across the country. As a profit-for-members fund, our members are at the heart of everything we do, and we return our profits to our members via industry-leading services and low fees. We’ve been recognised as the best of the best when it comes to super, winning Money magazine’s Best Super Fund Manager 2018 as well as Super Fund of the Year awards from Chant West, Super Review, SuperRatings and Conexus Financial. In this site tour, you will learn first-hand how Sunsuper have harnessed service design and customer centricity as part of their transformation to support people and processes. Check out the incredible speaker line-up to see who will be joining Amalie.